The University of Ulster is holding a free Graduate Bootcamp next month to help graduates boost their employability skills and increase their chances of finding work. It’s being delivered by the Career Development Centre (CDC) in association with recruitment specialists from Google Ireland and the Royal Navy. Participants will learn how to enhance their potential in the increasingly competitive graduate labour market. They will also be given the opportunity to gain greater knowledge in areas such as skills development, career branding, writing CVs – and how to shine at interviews. The two-day event – taking place at the Belfast campus on February 14 and 15 from 10am until 3.30pm – is designed to be both informative and interactive and individual career coaching will also be available. Shauna McCloy, Career Development Manager at the University of Ulster said: “Although the graduate labour market is slowly improving it is still very competitive in many sectors. 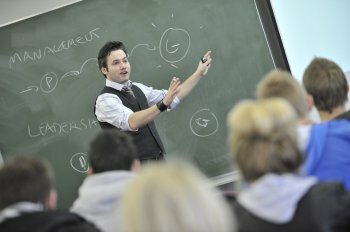 The University is offering 40 places and booking is now available at http://careers.ulster.ac.uk/graduates. This event is open to applicants who have not yet secured themselves a graduate level position. - Careers workshops, focusing on job search, CVs and job applications, interview skills and other relevant topics.